As The National Council of Teachers of English (NCTE) 2007 conference in New York City drew near, I mulled over some options for developing an exercise that could incorporate both my own growing interest in computers and websites and my longstanding love of literature. As both college and high school students become more proficient with the computer and all things technological, we, as college professors and high school teachers, must figure out ways to keep up with technological advances while retaining high literary standards. 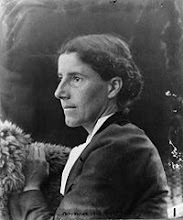 I decided to bring Charlotte Perkins Gilman, an author at odds with her late 19th and early 20th centuries, into the 21st Century. One can only speculate how CPG might have used the web tools that we now take for granted, but I suspect that she would have become fully engaged with the technology and view it as an extension of her mind and an important vehicle for her feminist and sociological ideologies. 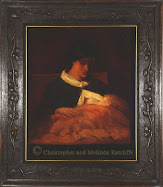 You are Charlotte Perkins Gilman (1860-1935), author of the long short story "The Yellow Wallpaper" (1892) and other noted works. Do NOT simply copy from current existing Charlotte Perkins Gilman websites; for excerpts, see Project Gutenberg and other public domain sites. I own the domain www.CharlottePerkinsGilman.com, which is directed to this site, currently under construction; I originally registered the domain because I didn't want to send my students to a dead link, but I also didn't want to send them to a construction page either. So, now, I plan to develop this blog by bringing together open-source CPG information, some of her public domain works, and my own research, including a scholarly paper I have published. Do check the blog from time to time. If you have any ideas how I can develop it, please let me know. Also, if you have an already-published scholarly paper on CPG and/or a pedagogical essay and would like to submit it here, please let me know--just make sure that you own the copyright. I'm not a publisher per se, but I am interested in new perspectives on this multi-talented and diverse author.